Whole Wheat Noodles? Why the heck would anyone want to eat those things? Well, turns out they are not that bad. Dare I say that you can’t really even tell the difference. Seriously. 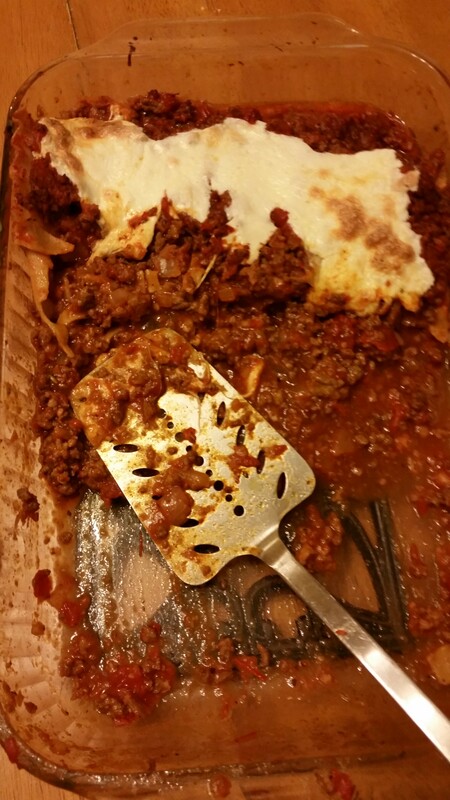 My dad said it was the best lasagna he has ever had. EVER. It doesn’t really even matter what kind of noodles you use. It is all about this meat sauce and cheese. My husband ate two helpings and raved about it. The next time you are craving lasagna, you should totally make this. Trust me. Salt and pepper your meat. Brown all your meat about half way. Then add in the onions and garlic. Continue to brown. Add in your Italian seasoning and stir well. Add in your tomato paste and cook for a few minutes. Add in your wine. Reduce a bit, then add in your Worcestershire sauce, sugar, and beef stock. Mix well. Then add all your tomatoes. Mix well and simmer for at least 30 more minutes (the longer the better). Meanwhile, Cook your noodles so they are still under done, about 4 minutes less than the box says. Cool your noodles just a tad so you don’t burn your fingers. Spray a large casserole dish. Add a layer of sauce to the bottom. 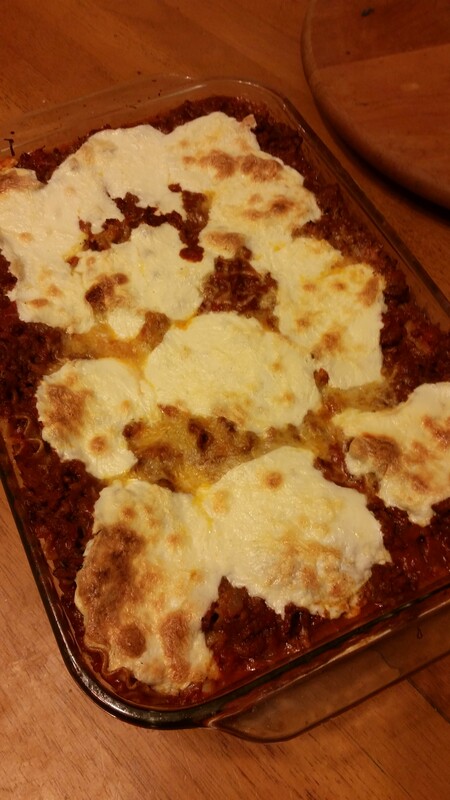 Then start layering your ingredients…pasta, sauce, shredded cheese, about 3 layers. On top, I added the mozzarella slices. Cook at 350 for about 45 minutes. Serve with some crusty bread!